Did you hear that ever? Well for those in pain it is really true. The academic program to become a doctor is the most rigorous and to become a good doctor one has to work really very hard. Imagine God created each body different and let doctors do the huge task of understanding it all. 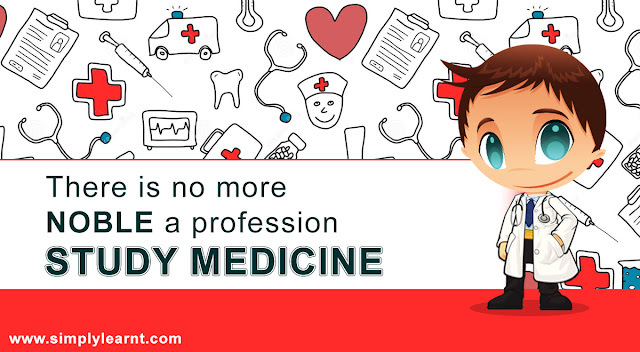 This Doctors Day we salute all doctors for their immense work in creating a better life for all of us. Want to do something great? Be a Doctor! Of course it is hard work but there is no better feeling than bringing someone out of their pain and getting high regards from people. If you have interest in Biology, you must think about studying medicine. The first step to that is taking Science stream with Biology in Class 11 and appearing for medical entrance exams after Class 12. Why do we celebrate Doctor's Day? Doctor's Day is celebrated on July 1 all across India to honour the legendary physician and the second Chief Minister of West Bengal, Dr Bidhan Chandra Roy. He was born on July 1, 1882 and died on the same date in 1962, aged 80 years. Dr Roy was honoured with the country's highest civilian award, Bharat Ratna on February 4, 1961. Simplylearnt can provide you all the tools that you need to prepare for AIPMT examination with SMART subscription and test Series.